The Wiston Estate, where we are based, saw clear benefits in bringing underused woodlands into economic life, based on a stable demand for woodchip. The installation at Wiston House, home of Wilton Park, opens up further opportunities for more constructive woodland management. It provides a secure market for wood fuel and on the back of this they can produce woodchip for others in the local market. A KWB 150kW TDS Powerfire boiler, wood chip fuel store, fuel feed system, 1,500 litre buffer tank, expansion tank and flue are located in a containerised boiler house, supplied by Econergy. 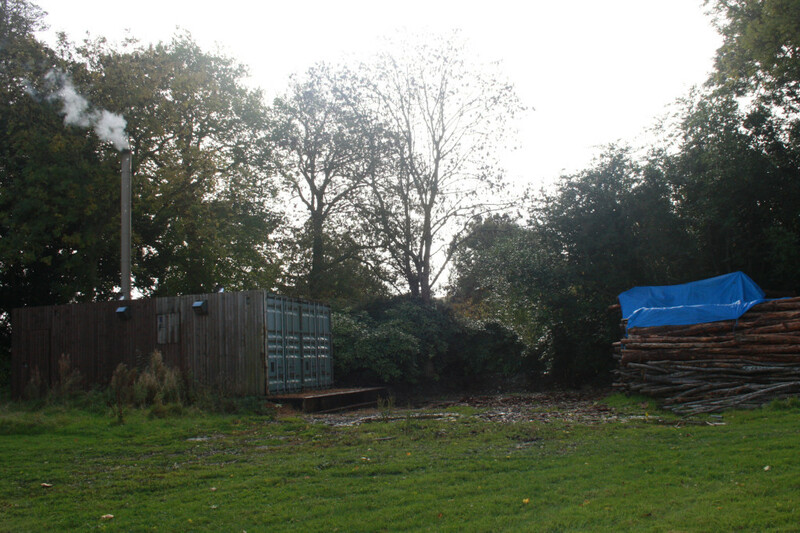 Softwood is felled from the nearby Wiston woods and cut in to 4m lengths. These logs are then extracted from the woodland and taken to a stacking area where they will season for 9-18 months, dependent on the species and time of year the trees have been felled. When the wood reaches a moisture content of ideally 20-40%, the logs are brought to Wiston House where they are loaded into a chipper using a forestry crane. 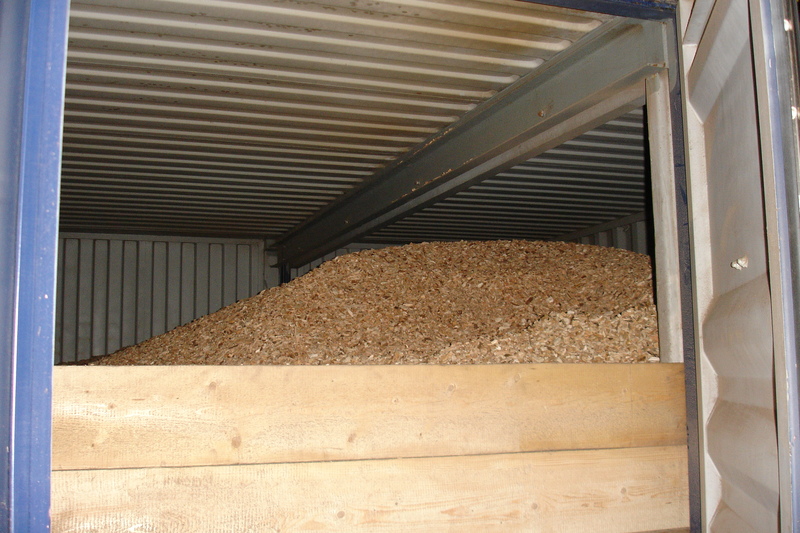 Woodchips are then produced to a uniform size and fed directly in to the storage bins. The boiler house is situated 90 metres to the west of the main house and is naturally screened from the main house. 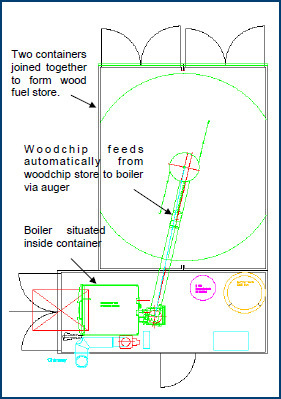 The containerised boiler house has an integrated woodchip store with a capacity of 60m3, this links to the boiler via a direct auger feed and sweeper. Dried wood is transported from the Estate woods, and chipped on site directly into the store. Heated hot water is transported underground linking into the existing distribution systems, providing hot water and heating in the main house. 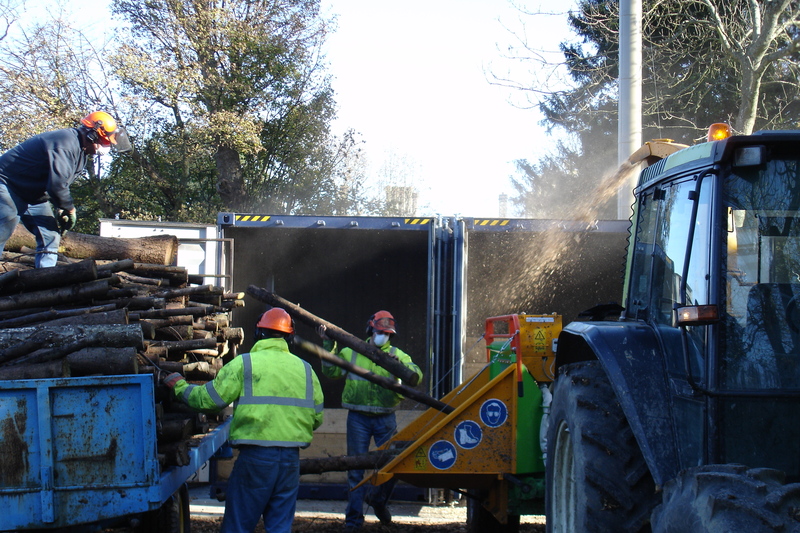 The annual need is 400 tonnes of wood and it is hoped to save 165 carbon tonnes per annum.